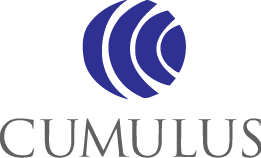 Cumulus Media, Inc. (and its subsidiaries, Cumulus Broadcasting LLC, Cumulus Licensing LLC and Broadcast Software International Inc ) is an American broadcasting company and is the second largest owner and operator of AM and FM Atlanta, Georgia. Cumulus' original business plan focused exclusively on owning radio stations located in medium-sized media markets, and Cumulus Media only owns terrestrial radio stations in the United States; rival iHeartMedia, Inc. owns radio stations outside the United States and operates a subsidiary, Clear Channel Outdoor. On September 15, 2013, Cumulus announced that it had entered into a partnership with music streaming service Rdio to combine both of the companies platforms. The deal would give Cumulus a stake in Rdio's parent company, Pulser Media, as well as an additional online platform (other than iHeartRadio (owned by iHeartMedia), which Cumulus stations are currently being broadcast on) for their broadcast stations. In return, Rdio would receive resources, promotion, and sales from the chain of Cumulus stations, as well as offer traditional broadcast programming to their users. This would increase the advertising revenue for its freemium model and create brand awareness for its paid model. On August 12, 2015, Cumulus officially launched its 460 radio stations in Rdio. Cumulus also offers online channels Nash FM on Rdio and Nash Country Weekly. On December 30, 2008, Cumulus Media was issued a $14,000 Notice of Apparent Liability by the Equal Employment Opportunity rules on information on recruitment sources. Cumulus, along with two other companies, had 30 days to pay or file a statement asking for reduction or cancellation of the forfeitures. On March 17, 2000, the company was forced to restate revenue and broadcast cash flow for three quarters of 1999 after discovering that some of its sales force had prematurely booked revenue to meet sales goals. On November 8, 2005, Company decided to amend and restate its results for the second quarter of 2005. ^ "Cumulus Media Inc. (CMLS)". Yahoo! Finance. Retrieved 23 March 2014. ^ "Cumulus (CMLS) Business Summary". Yahoo! Finance. Retrieved 23 March 2014. ^ "Subsidiaries of Cumulus Media Inc". U.S. Securities and Exchange Commission. October 14, 2013. Retrieved 23 March 2014. ^ "CMLS Company Profile". Yahoo Finance. Retrieved 23 March 2014. ^ a b "211 Cumulus Now Owns Citadel Broadcasting". Business Journal. September 16, 2011. Retrieved 2011-09-16. ^ Fybush, Scott. "Cumulus The Comeback Kid". Radio World. Retrieved 23 March 2014. ^ "Clear Channel Business Summar". Yahoo!. Retrieved 23 March 2014. ^ """Cumulus CEO: "Half the companies in radio gone in 36 months. Radio-Info.com. November 24, 2008. ^ "Citadel says "No" to two merger offers from Cumulus". Radio-Info.com. December 6, 2010. ^ """Citadel confirms "exclusive negotiations" with Cumulus – but says "no deal yet. Radio-Info.com. February 17, 2011. ^ "Cumulus files to divest 14 stations, to complete its $2.4B purchase of Citadel". Radio-Info.com. April 12, 2011. ^ "ABC News radio deal with Cumulus to end, but there’s an upside". Capital New York. Retrieved 12 December 2014. ^ "Milwaukee-Based Radio-Station Owner Restates Revenue, Cash Flow".